The idea that this could be done before 2030 is a non-starter, there aren't enough 1972s to cover an extension, they're not due to be replaced until about the time the extension would be complete and I don't think there would be room at Stonebridge Park for many more trains than they have at the moment. There's no room at Queen's Park and I don't think there's any possibility of expanding London Road so they're going to need extra depot space on the extension itself. In essence - E&C to Hayes via Old Kent Rd or Camberwell then Lewisham, Catford, Beckenham Junction / Hayes. Just signed it. I think it is a good idea. Old Kent Road on the SLL may be reopened before anything starts here, so Camberwell could be the better route in terms of an area's rail needs still remaining unmet. Don't hold your breath, though, on any of it. The case for extending the Bakerloo (as opposed to building a new line altogether) has always rested on the fact that there is some spare capacity in the peaks. The further it is extended, obviously, the more that spare capacity is exhausted. What is not stated in the documentation that I have seen is where that balance is tipped. Without figures, it's difficult to predict, but given the scale of redevelopment south and east of E&C, there must be a serious question as to whether an extended Bakerloo could cope with the extra traffic beyond Lewisham/Catford, even after its upgrade. What we really need first is a firm commitment to identify where in SE London tubes would work, which if any overground/NR lines they could swallow wholly or partially or most usefully link to/interchange with, and then propose which lines extend or new lines are built, with a view to spreading the load across the entire LU network, because potential passenger's likeliest destinations in terms of existing LUL stations and lines or elsewhere is known to a very high level of probability. For example, what %age of Hayes Branch passengers might want to go on to the Northern Line to Bank etc; what %age Canary Wharf on the Jube. extension from Waterloo? Or what %age might want to decant to Aldgate/Liverpool Street via the Circle? This might be cart put before horse, as it stands. Camberwell Thameslink might open on that timescale too. In any case, the point where the SLL meets the OKR is right at the far end of the latter, and would do little to help the Bricklayers Arms/Albany Park area which is in the middle of the transport desert. Well my view on 1a and 1b is going down Old Kent Road should keep journeys relatively fast and smooth so the loss of a fast service to London Bridge shouldn't impact it so much. Although I don't think two stations are needed, more three. As for 1b, taking it via Camberwell is good with relatively little other rail transport in the area except Loughborough Junction and Denmark Hill and then to Peckham Rye. But Peckham Rye to Lewisham is just duplicating another faster railway service or two. Another station I think should be added at Walworth and I wonder also if New Cross should be served. Yes, there's that Lewisham interchange as well. In an ideal world, they would cut across from Old Kent Road 1.25 or 1.33 (ie after 1, but well before 2) to Camberwell and give us bread and butter and jam. After or around about the Bricklayer's Arms interchange? I wonder what the cost difference on the proposed OKR and that amalgamation of the two would be? Going purely from the map, it appears to need slightly less railway and I assume none of the proposal for OKR is using existing NR lines? The question is, do we need this extension and how likely is it to happen? I know the approach to Elephant is not as smooth as Brixton but surely with ATO the capacity of the line can be improved? London is growing and its population is expected to exceed 10 million by 2030. This will create more demand for public transport across London. Whilst we are already investing billions of pounds, further investment is required. Growth in southeast London is forecasted in areas such as Lewisham, Catford, New Cross and the Old Kent Road. It will also occur in parts of outer London such as Bromley. 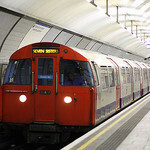 In southeast London, public transport is also crowded in places and many of the roads are congested. Predicted population growth will further increase the pressure on the area’s rail and road networks. To address these issues, we are considering options for extending the Bakerloo line into southeast London from its current end point at Elephant & Castle. So, it appears to be up for consultation on the basis of future predicted population growth as much as anything. As to how likely-well, note the map shows DLR already at Lewisham and ELL etc at New Cross Gate, so if it does start, watch it end at one of those two. Expect any New Cross Gate-Lewisham link to be very popular with people travelling between Woolwich, Dartford, etc, and Croydon, Clapham Junction, Shoreditch, Highbury, etc. The lack of interchange between LO and the North Kent Line was one of the more annoying aspects of living in Woolwich and Plumstead Common.